Someone put the kettle on – we got some bad news to break to you. Apparently drinking a regular cup of builders tea is now no longer cool. Yes, we know it’s shocking, but according to a report published in The Times, sales of ordinary, black tea bags have dropped rapidly over the last five years. That figure is set to plummet even further this year as sales drop by another 5%. Who can possible be responsible for such an upsetting turn of events, we hear you ask? Once again, it’s Generation Y. Discover & Share this Girl GIF with everyone you know. GIPHY is how you search, share, discover, and create GIFs. Apparently less than one in six millennials are drinking five or more cups of standard black tea a day – considerably less than older generations. In fact, people aged 55-64 are twice as likely to drink five cups a day than those aged 16-34. Instead, millennials are choosing to drink specialty teas, such as green and fruit flavoured ones – a choice which has caused sales of green tea to rocket by 39% in the past two years. Their reasons for going green? No. one is vanity, with half of the people surveyed in that age group saying they were worried that drinking too much tea would stain their teeth. Meanwhile a quarter of them said that normal black tea contained too much caffeine to be drunk in the afternoon or evening. While it may not be a bad idea to re-think your caffeine intake, there are plenty of other health benefits associated with green tea, including helping weight loss, preventing cancer and improving brain function. Discover & Share this GIPHY Originals GIF with everyone you know. GIPHY is how you search, share, discover, and create GIFs. Not everyone is convinced though. 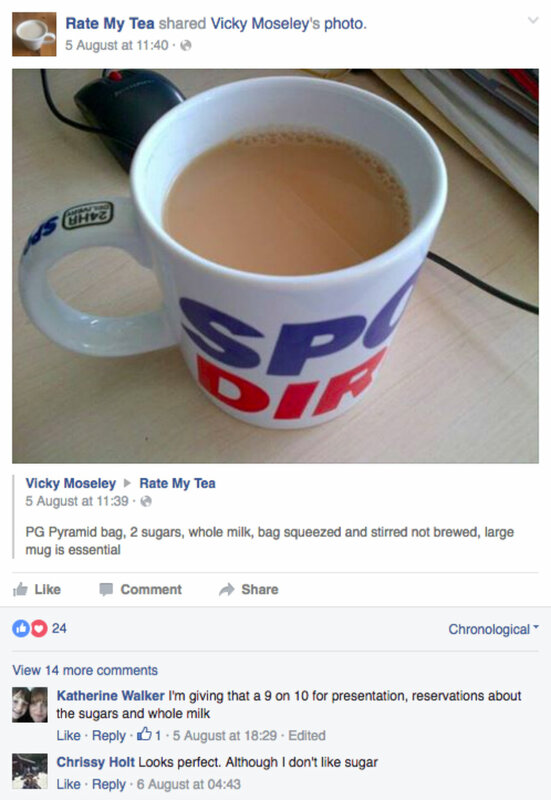 In fact, some people are going to great lengths to preserve the art of the perfect cuppa via social media. Rate My Tea is a platform for people to post a picture of their tea and have it rated by people. Uploading it to either facebook or twitter, each brew is rated on colour, consistency, mug/cup, setting, quantity and biscuit choice. While the current members of the Rate My Tea community seem like quite a friendly bunch, we reckon it won’t be long until tea tyranny reigns supreme.